Classic piece that will enhance your brand and add a touch of class. 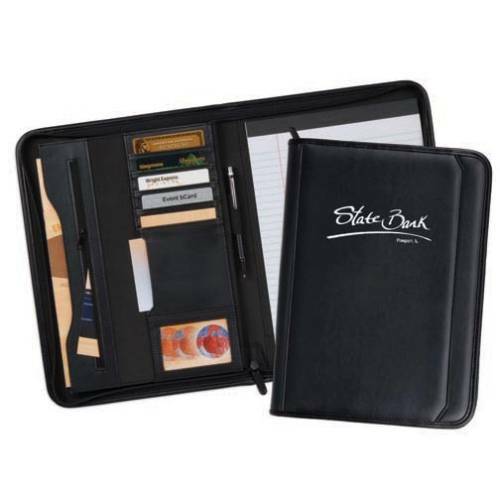 Features our ?nest simulated leather material, a gusseted interior pocket with organizer, stitched and padded covers, zipper closure, pen loop, and large exterior pocket. It is the perfect combination of high perceived value and reasonable price.